The story of the locust plague on Judea is in Joel chapter 1. Joel was a prophet in the Southern Kingdom (Judea). Joel was categorized as a Minor Prophet and his book is placed second (between Hosea and Amos) among the 12 Minor Prophets. Joel is a short three chapters. Controversy surrounds when Joel was written. Probably the controversy resulted because the book is divided into two distinct parts. In the first part (Joel 1:2-2:17), Joel described Judea being invaded by locust. From this perspective Joel was written during the locust plague early in the divided kingdom period. In the latter portion of his book, Joel (Joel 2:18-3:21) delivered a prophecy about the restoration of Judah and God’s coming judgment on all nations. Because of the language in this prophecy, some scholars believe Joel lived concurrent with Jeremiah or even after the restoration of Judah. My perspective was that Joel was written during the reign of King Joash (835-796 B.C.) or early in the reign Uzziah (792-740 B.C). Most scholars agree that Joel wrote about an actual scourge of locust into Judea. Joel’s descriptions of locust movements are graphic and accurate. The locust devastated the harvest and ruined the land. Field crops were destroyed with grains and vines eaten; plants that remained dried up. New seeds did not germinate; they shriveled beneath clods of dry soil. Because there was no fodder or pastures, cattle milled about and moaned in discomfort. Even the sheep suffered from lack of food. Fig trees were stripped of their bark as well as fruit, leaves, and stems. All the trees of the fields – the pomegranate, palm, and apple tree – were dried up. The year the locust invaded Judea was a horrible year for most Judeans. Many suffered from inadequate food and nutrients because Judean agriculture was destroyed. Likely imported foods were scarce and/or costly. Even in subsequent years, the nation’s food supply was reduced. Seeds did not germinate during the locust year; consequently, no seeds were available to plant the next growing season. Farmers and families would have to buy seeds from other nations. Trees and vines were damaged or destroyed. Heavily damaged trees take years to recover; e.g., to grow new branches and produce fruit. Despite the dire problems of food security that came about because of Judah’s sins, God loved his people and reassured them. God promised “I will repay you for the years the locust have eaten – my great army that I sent among you” (Joel 2:28). This verse tells each Judean and each of us that God will restore the times/years that we wasted living far from him. The children of Judah and we have a part in this restoration. Our part is to turn to God with our whole heart; to rend (tear or break) our hearts because of our sins (Joel 2:12-13). Joel identified one tree of the field as an apple tree. The preponderance of scholarly and botanical evidence points to the apple tree as being an apricot tree. Refer to the discussion in Chapter 1 on the Tree of Knowledge for growth requirements of apple trees. The Apricot tree of the Bible is the Prunus armeniaca L. The apricot tree is native to northern China. Probably the apricot tree was introduced into Mesopotamia and Israel about 2500 B.C. Normally, P. armeniaca grows about 30 feet tall; however, wild trees have grown to 45 feet. When cultivated, apricot trees reach full production in five years and have an economic life of about 30 years. The fruit of the tree is the apricot. In ancient Israel, apricots were handpicked from trees or trees were shaken so that apricots were dislodged and dropped to the ground. Shaking trees has two problems. First, when mature fruits hit the ground, they easily bruise, which promotes rot (Rhizopus fruit rot). 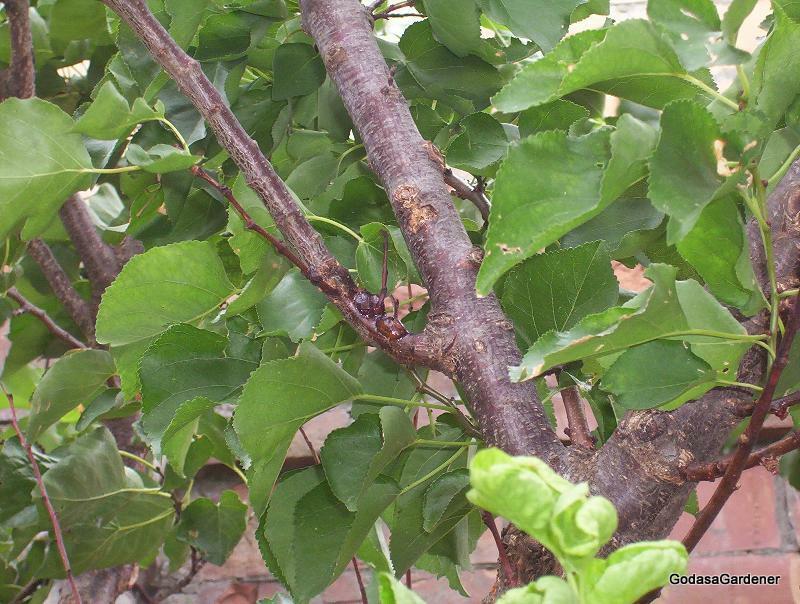 Second, apricot trees are more susceptible to trunk damage from shaking than many other fruit trees. Often an apricot tree can be picked over 2–3 times each harvest. 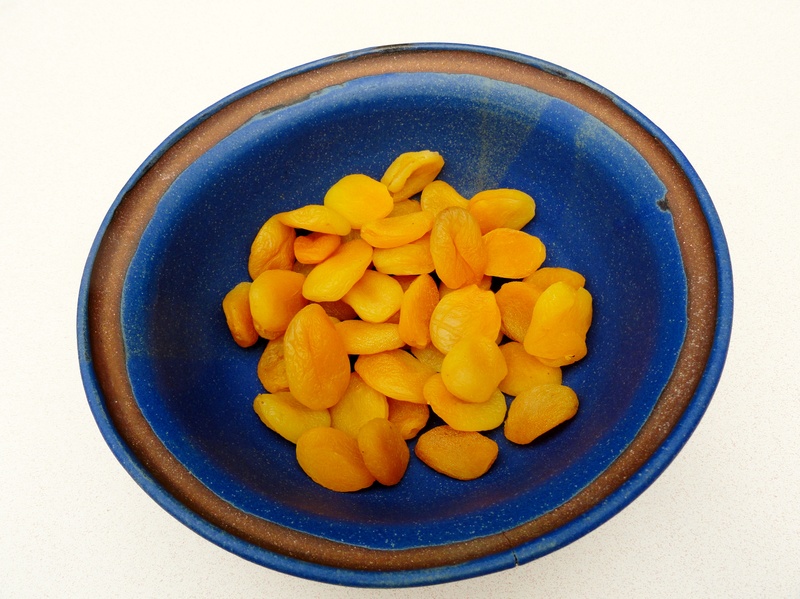 Apricots were eaten fresh, cooked, or dried. Fresh apricots taste best when eaten in 1-2 weeks. Ancient Judeans laid the apricots out in the sun, usually in a single layer, to dry. In his book on correspondences of Bible plants, Worcester (2009) suggested that sweet fruit trees such as the apricot symbolized pleasant encouragement for good. Providing encouragement is a key component of our role as Christians. In the Bible over 60 references address encouragement. When used in the Bible, “encouragement” meant to inspire with courage or hope, to give help, to lift a person’s confidence, or to strengthen their purpose. In the Old Testament, several people or groups were identified as needing encouragement. Moses was told to encourage or inspire Joshua because Joshua would lead the Israelites into the Promised Land (Deuteronomy 1:38, 3:28). Israel’s soldiers strengthened comrades with words of encouragement during battles (Judges 20:22). Joab warned David that if David did not go to his soldiers and encourage (lift their confidence) them after Absalom’s death, that the soldiers would desert (2 Samuel 19:7). The righteous were entreated to encourage or give aide to the afflicted oppressed, fatherless, and widows (Psalm 10:17; Isaiah 1:17). New Testament church stories include stories about encouragers and encouragement. In fact, encouragement is one of the gifts of the Holy Spirit (Romans 12:6). In Acts, we read that the Holy Spirit encouraged the churches throughout Judea, Galilee, and Samaria (Acts 9:13). When we lived in Charleston, we had the privilege of attending a charismatic Lutheran church. Walking into the church, we felt the Holy Spirit. His presence permeated the songs/hymns, liturgy, and communion. We came from a church that had severe financial challenges and were amazed one Sunday to hear that the church had so much money that they were having a large free shrimp picnic for the congregation and friends. If you have lived in the South, you are probably smiling about now remembering that shrimp picnic had every side dish imaginable. Each Sunday this Lutheran church operated a bus that went to the Rescue Mission area. The Mission did not offer meals on Sundays. The bus brought homeless individuals to the church, fed them a hearty breakfast, and invited them to church. These folks were also invited to the shrimp picnic. What an absolute blessing when the Holy Spirit intervenes in churches to inspire members and to strengthen their purpose. Paul wrote that everything written in the past was written to teach … and encourage us so that we can have hope (Romans 15:4). Repeatedly Paul wrote how he was encouraged (heartened) when he learned that Church plants were thriving; e.g., Corinthians Paul even rejoiced that his imprisonment encouraged (inspired) his brothers in the Lord to speak the word of God courageously and fearlessly (Colossians 2:2). Tychicus was an early church encourager. Writing from a Roman prison in about 60 A.D., Paul described Tychicus as a dear brother, a faithful minister, and a fellow servant in Christ (Ephesians 6:21-22; Colossians 4:7-8). Tychicus knew Paul’s circumstances, e.g., how and what Paul was doing. He delivered Paul’s letters to the churches as Ephesus and Colosse. Paul sent Tychicus to these churches with the expressed purpose that Tychicus would encourage – lift, inspire, strengthen – them. Prayer. God, thank you for letting us see the importance of the gift of encouragement and it purpose in the life of the Church. Help us to be intentional encouragers. This entry was posted in Plants & the Southern Kingdom - Judah and tagged Apricot Tree, Bible, Bible Plants, Bible Study, Christian walk, christianity, Encouragement, Garden, Gardener, God, God as a Gardener, History, Israelites, Jerusalem, Jews, Joel, Judah, Old Testament, Plant symbolism, plants, spirituality. Bookmark the permalink. Nice post. Ι was checking ϲonstantly this blog aand I’m impressed! a ᴠery ⅼong tіme. Thаnk yοu and bsst of luck.